Taylor N. Lacey: 28. Learn to make my own bread. 28. Learn to make my own bread. Last week, I wanted to make bread because I knew I did not have time to think about finding a recipe at school. I'm glad to say this is pretty easy to do! The recipe I used is pretty simple with pictures and it came out pretty decent for my first time ever making bread. 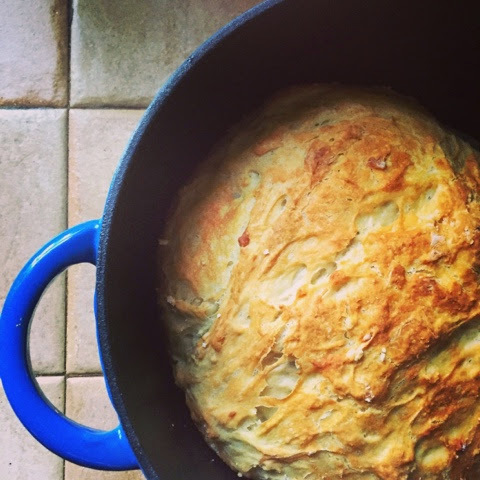 Don't be intimated by yeast - this bread is pretty screw up proof. It's excellent with sauce, soup or my favorite: a little avocado and artisan salt. That is a fund looking recipe. It reminds me of Mark Bittman's no kneed bread recipe which I used to make all the time before I got a food processor that could kneed dough for me.